If you are looking for a East Northport vinyl siding or window replacement contractor, then you have come to the right place. Nassau Suffolk Exteriors takes pride in providing homeowners in Long Island and the surrounding areas with superior services and products. 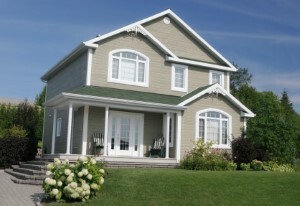 Our East Northport Exterior Services contractors and vinyl siding experts are dedicated to providing the best windows and siding for your home. Not sure what materials or products are right for your home improvement project? Come on in to our modern showroom in Commack, Long Island to see and touch samples of decking, pavers, siding, fencing, and a wide variety of other exterior home building materials. Sit down with one of our knowledgeable Exterior Services experts to discuss your home improvement project and view digital photos of our completed Long Island renovation projects on one of our four large monitors. You can also sit down with one of our experienced designers to have your project digitally rendered in 3D to see what your completed East Northport home improvement project will look like. Looking for easy home improvements? As a East Northport homeowner, get ready for a revolution in home improvement, because Nassau Suffolk Exteriors has the craftsmanship, expertise, and integrity that you've been waiting for in the vinyl siding industry! Nassau Suffolk Exteriors is different from other East Northport home improvement companies because we have seasoned, veteran contractors in our vinyl siding department. When you hire us for your East Northport vinyl siding project, you're getting individuals with years of experience in their services area. At Nassau Suffolk Exteriors, we stand behind our work with the best guarantees in the business — a Three Year Guarantee on Workmanship. This means that if you ever happen to encounter a problem with our installation of your East Northport Siding, we will be there to fix it! For years, Nassau Suffolk Exteriors has been proud to offer East Northport homeowners quality energy saving vinyl windows and professional window installation. Our constant attention to quality and detail has allowed us to become the leader in East Northport energy efficient windows. Vinyl Replacement windows are considered one of the best investments for your home. East Northport replacement vinyl windows can reduce the outside noise and energy use as well as increase the value of your property. Replacement windows actually pay for themselves through noticeable energy savings. Your new East Northport windows will be energy efficient, add value to your home, and reduce the cost of heating and cooling. If you're looking for replacement windows, siding, or roofing services in East Northport, call Nassau Suffolk Exteriors at 631-462-1383, or fill out our online request form.